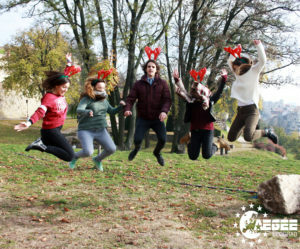 In addition to the previous articles about the New Year’s Events, we would like to present you with some additional opportunities which are going to be organised by really experienced Antennae like AEGEE-Belgrade and the Greek Antennae. In this article, the journalist Matteo Lai will explain you why you can choose one of these events to spend the last hours of 2016, with the contributions of Vasiliki Andrioti and Aleksandra Icić. This NYE event is organised by Greek speaking Antennae (Athens, Peiraias, Patra, Ioannina, Thessaloniki and Kastoria). The general themes of this NYE are Greek history and culture, therefore they are also the focus of the social programme. Starting the journey from Athens, the participants will get to witness how the capital can perfectly combine its historical past with the present. 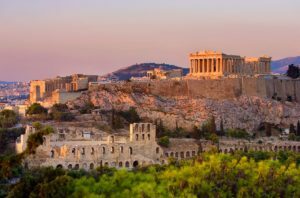 Participants will visit the Akropolis and Parthenon, and stroll around the Plaka with its alleys and little shops. Moving to a nearby neighbourhood , members of AEGEE will see Peiraias, the biggest harbour of the country, with its own nautical and merchant tradition. 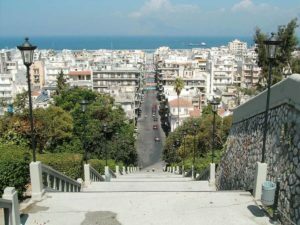 On New Year’s Eve, the participants will find themselves in Patra, the third biggest city of Greece, where the organisers are planning to have a party to welcome 2017. In Ioannina, the fourth destination, participants will visit the first of the two lake towns in their journey. 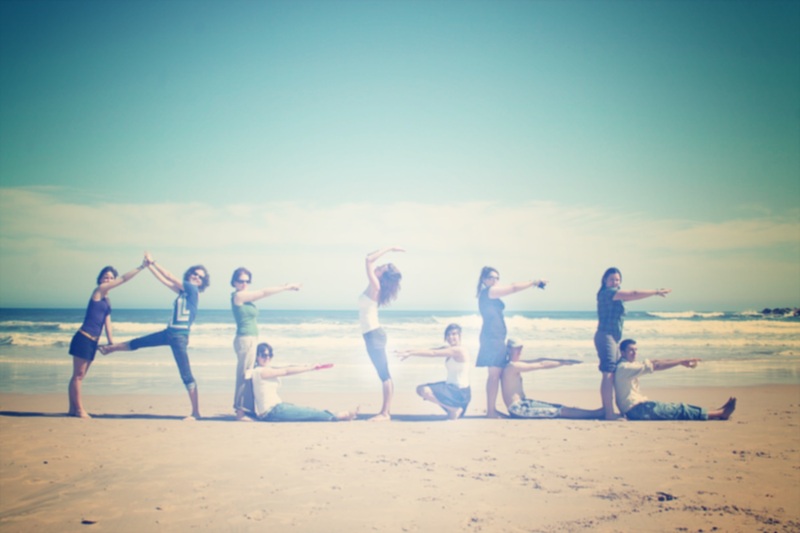 A day trip will be set up to an island inside the lake, where everyone will get to know the local life. Thessaloniki, the so-called capital of the North, will reveal its stunning beauty from the top of its castles, which are the highest point in the entire city. And do not forget the must-do walk to the White Tower. Last but not least, in Kastoria participants will attend “Ragoutsaria”, a local custom to welcome the new year. “Prepare yourselves for a different kind of carnival with much dance and alcohol!” adds Vasiliki Andrioti, from AEGEE-Ioannina. In addition, the social programme will involve traditional dances from different regions all around Greece, language and culture workshops, parties and many more. A Winter University on this scale has never happened in the past. Participants will have the chance to travel through Greece, and the organisers from Athens, Peiraias, Patra, Ioannina, Thessaloniki and Kastoria await them to show them the original Greek spirit, six of the main cities of Greece and examples of Greek history and culture. It will be like a journey from the past to the present, meeting people from various regions and experiencing all the Greek customs, local life and hospitality. So, if you have ever wanted to visit Athens and Akropolis, dance Syrtaki, eat Souvlaki and drink ouzo, get ready for a really “kefi” [fun, ed.] event! Vasiliki invites all members to apply on the intranet page here, and by filling in the Google form here. The deadline is the 20th of November. Thirty participants will be accepted. 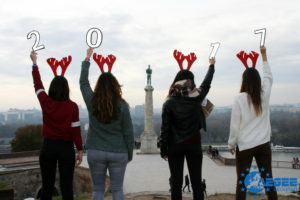 Frozen in Belgrade: Oh deer, another year! The topic of this NYE in Serbia is Tradition and Culture. Through workshops provided by AEGEE-Beograd, the participants will get the chance to explore Serbian traditions related to Serbian food and its preparation, and to the Serbian famous drink “Rakija” [a fruit brandy, ed.] and how it is made. During the city tours, the participants will see the most famous parts of Belgrade such as the Kalemegdan fortress, Saint Sava’s Temple, Skadarlija (the bohemian quarter), Knez Mihailova street and much more. Other activities include the Nikola Tesla museum, ice skating and trying to make it out of an Escape room on time. Since Belgrade is famous for its night life, the organisers planned a pub crawl, an unforgettable European Night and, of course, something special for New Year’s Eve! “We are not going to tell you everything, you will just have to come and see for yourself”, adds Aleksandra Icić, the main organiser of the event. “Balkan spirit is something you should experience – from our hospitality, warm and nice people who know how to enjoy life to our rich culture, monuments at every step and a buzzing nightlife” tells Aleksandra. Twenty-five participants will be accepted for the event. The deadline is set for the 22th of November. Apply on the Intranet here and fill in the Google form here (both are required).